While the courtroom drama between Waymo and Uber is owning the stage in the autonomous driving space, there is one very large tech company that is quietly benefiting from the distraction. And no, it is not Tesla. This company is Baidu, China’s largest search engine and one of the world’s biggest tech companies. If you are wondering how Baidu could possibly benefit from the Waymo/Uber lawsuit, you might not be the only one with that question. Baidu has gone out of their way to avoid drawing attention to their autonomous driving efforts happening right in Google’s backyard in Sunnyvale, CA. 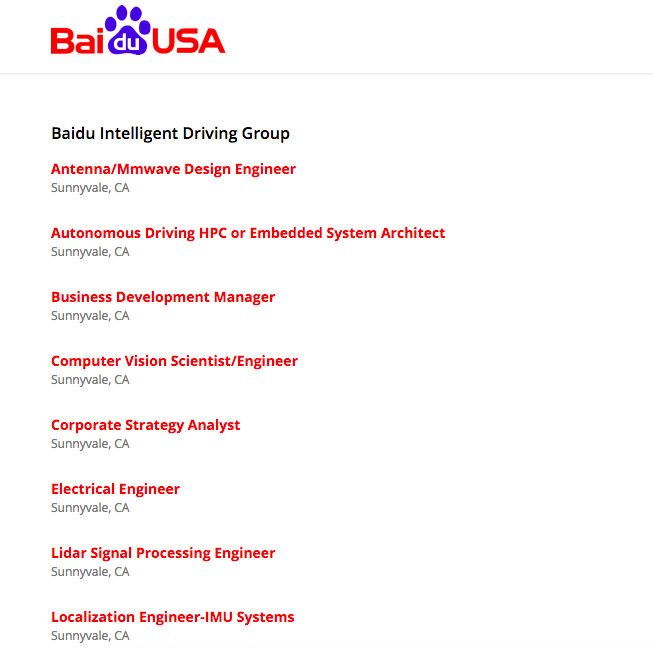 Baidu’s US subsidiary is called Baidu USA and according to its homepage it is an office dedicated to research with a number of different focus areas including autonomous driving. In general, the website is very thin on details. The page dedicated to autonomous driving almost looks like a template that has not been filled out. There is also a page that lists events Baidu is participating in which has not been updated in two years. On the product side, Google images has a few pictures of Baidu’s autonomous vehicle, but all of the images are file pictures of the type handed out by PR people at an event. There are no pictures of Baidu cars caught in the wild. However, website activity aside, Baidu USA is very active in their pursuit to build autonomous vehicles. Their open jobs page gives a lot of detail about the kind of roles they would like to fill. A good portion of the open reqs are just for autonomous vehicles. Given the specialty and rarities of these people, every employee that can be snapped up by any company is an asset and a competitive advantage versus a competitor. Unlike the myriad startups that are attempting to build autonomous cars, Baidu has deep pockets, just as deep as Google and possibly deeper than Uber. They have the ability to go head to head against their competitors and they have the freedom to recruit engineers without being embroiled in a lawsuit. Despite the many hires Baidu is bringing on, they have not been slacking. There are 338 Baidu USA employees on LinkedIn compared to 726 for Waymo. However, these numbers don’t tell the full story. 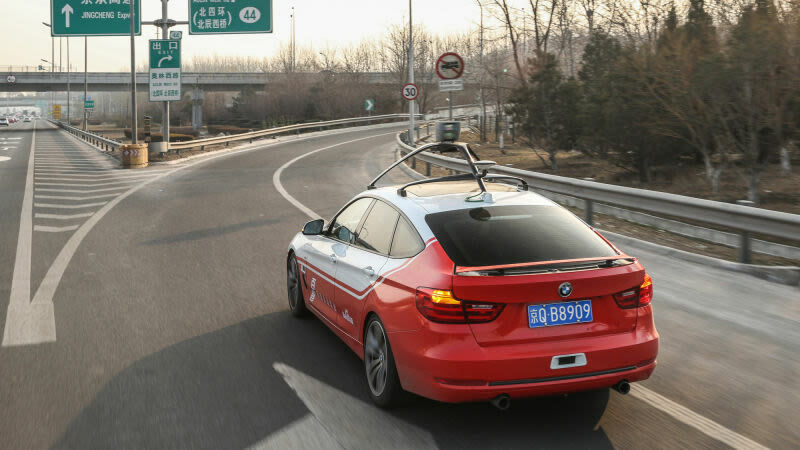 Baidu has a large autonomous driving division in Beijing, so they likely have more employees devoted to this effort than Waymo. This does beg the question, why are they in the Bay Area? Could it be that Baidu geographically locating its operations near their competitors is able to benefit from the lack of enforceable non-compete clauses in California and is able to slow down Waymo and Uber by drawing away their engineers?